In casino gaming there are a variety of mathematical based systems that are touted as a sure fire way to beat the casino. This is especially true for the game of roulette. While some systems can be applied under a very specific set of circumstances, most can’t be applied over an extended period of time. When they are, the roulette system fails and the player usually lose the game. 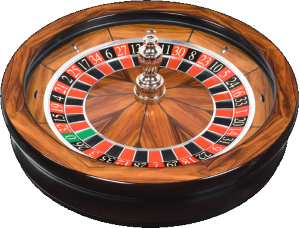 There is however one method of attacking roulette that can be applied over an extended period of time, when done correctly, gives the player a positive outcome. That system is the Kesselgucken roulette system. Kesselgucken is a German word which most closely translates to the English wordobservational. It is appropriate because what the player is doing is observing influencing factors of where the ball will land, and using the laws of physics to predict where that will be. Usually within a sector range of octants, (1/8th of a pie like section of the wheel). This approach was pioneered by Ed Thorp, when he and Noble Laureate Claude Shannon, developed the world’s first wearable computer, that was designed to predict where the roulette ball would land. By using a computer program that accounted for all these factors, all Thorp and Shannon had to do was input the initial velocity of the ball after one revolution and the computer would take care of the rest. The series of equations used required a computer to complete before the croupier would call “no more bets”. It’s worth noting that when the two MIT Professors did this the use of computers in casinos was allowed. We are not that lucky any more. The two made vast amounts of money using the roulette computer, and their success ultimately led to the ban of computer devices in casinos. When the casinos successfully banned the use of computers, the player had to come up with ways to attack the wheel without the assistance of any device. The result was the Kesselgucken approach. The methodology wasn’t as accurate as the system that used the computer but it was still good enough to gain a healthy advantage over the house. Using the computer the where the ball would land could be predicted to a range of 5 numbers or 1/8th of the wheel. If a player were to bet $1 dollar on 5 different numbers, with 100% accuracy you would earn a staggering profit of $33 per spin. And the numbers just get bigger as the wager amount increases. The profit levels are not that high when using a non computer approach but are still very good. Instead of 5 numbers a player increase the number of dollar inputs to $15, and at a payout of 36:1 a net profit of $20 per spin is possible on 100% hit rate. A profit can be made with a hit rate as low as 35%, so this is a very powerful system when properly executed. Let’s go over a couple of things you need to execute the system. Every roulette croupier has a signature. 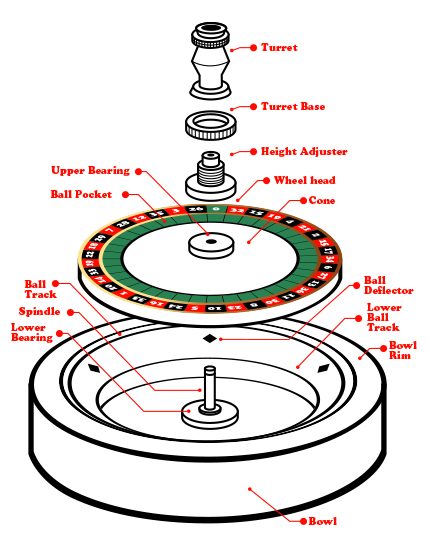 A croupier signature is few physical components of how the croupier releases the ball into the wheel. The first part of the croupier signature is where on the outer rim the dealer releases the ball onto the track. A croupier will usually release the ball from the same position for every spin. Starting position is very important. What the player will find after 100 trials and 100 calculations is that the velocity is very consistent for each individual croupier. By knowing where the ball is released and what the initial velocity is the player can determine where the ball will enter the area of the wheel where number baskets are. The ball separates from the outer track at the same velocity every time. Then gravity takes over and the ball slides down the angled track until it hit enters the area with the numbered basket slots in it. Determining where the ball will enter the basket area is accounting for the ball aspect of the roulette game. The other half is the roulette wheel itself. The wheel remains in motion (under almost zero friction) and spins the direction opposite of the way the ball is spun. The velocity of the wheel, like that of the ball, is fairly consistent between dealers. It should be measured over the same100 spins as dealer’s initial velocity measurements. And like the velocity calculations, the average should be taken and applied. The final component is the bounce coefficient. This refers to how many spaces the ball travels past before it comes to rest. It is the part of the calculation with the most variance involved. Determining the bounce coefficient is more of a technical art than hard calculation. Like before it depends heavily on the croupiers signatures and requires several observations, recording and averaging. Using Physics to beat a roulette wheel is possible, but as seen here is very complex. It takes lots of preparation and work. The first mistake most players who try this method, is that they jump right into taking measurements at a casino and often become frustrated and give up. The player has to make an investment in the game, so that he can practice roulette. By working out the methodology at home under controlled conditions they can perfect there methodology at home and then take the approach into real world, under real world conditions. The Physics approach is a challenging way to attack the game of roulette. When exact calculations are used (the ones that require computers) you can predict where the ball will land within approximately 5 spaces. This is an overwhelming edge. The estimation method is far less accurate and the player needs expand the range of numbers from 5 to 15. And the hit ratio will be less than that of the computer aided approach. The take away is that it can be done but requires a lot of practice to be competent in this method. Before executing this method with real money the player can engage in simulation to make sure they have the ability to execute the Physics based approach. It’s hard, and like anything worthwhile it takes a lot of effort, but well worth it.